London has always been the centre of the finest leather goods, and Barrow Hepburn and Gale traces its history back to 1760 when John Hepburn set up his first tannery in Bermondsey. Bermondsey was an historic leather district, and by the time Hepburn arrived was already known for its tanneries, and was home of the Commonalty of the Mystery of Tanners of St Mary Magdalen Bermondsey of Surrey - a guild which was given royalty charter by Queen Anne in 1703. Our records follow the passage of Hepburn and Sons from Long Lane in Bermondsey to their final home at the Gales in Deptford and Bermondsey. Through a series of mergers, Barrow Hepburn and Gale came to be one of the largest leather concerns in London and England in the 20th century, with Hepburn and Gale merging with Ross and Co in 1901. Given the size of this new company we were called upon to produce goods for British and Empire troops during The Great War, supplying leather for items such as saddles, belts and cases for officers and soldiers.  In 1920 Hepburn and Gale merged with Samuel Barrow and Brother, a company founded in 1848, creating Barrow Hepburn and Gale. In addition to our defence work, throughout the 20th century Barrow, Hepburn & Gale produced the famous Despatch Boxes or Red Box for the Sovereign and the British Government. This would become the item most associated with the company. With sales of the Boxes -such as the sale of boxes belonging to Margaret Thatcher and Winston Churchill- bringing our work to public prominence. Besides our official products, Barrow, Hepburn & Gale continued making a broader range of leather goods and expanding its operations to “trunks, suitcases, attaché, cases, document cases, industrial gloves and aprons”. Barrow, Hepburn & Gale have access to a fascinating archive of leather goods dating from the mid nineteenth century. We continue to deploy the most skilled leather craftsmen to create the most luxurious and functional products, used daily by HM The Queen, members of the British Royal Family and the Prime Minister. Our products call on 250 years of skills, development, tradition and design.